After Christmas my local Salvation Army had Christmas themed items 75% off. I was able to look through the stuff and I found the items pictured below. Living in Connecticut, I pretty much have to wait for the spring time in order to spray paint items. I finally invested in a one of those spray paint bottle holders. 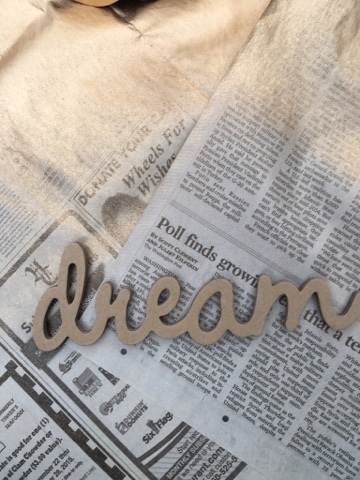 I found the word dream at my Local craft store for under a dollar. I could not leave the word "Dream" behind. 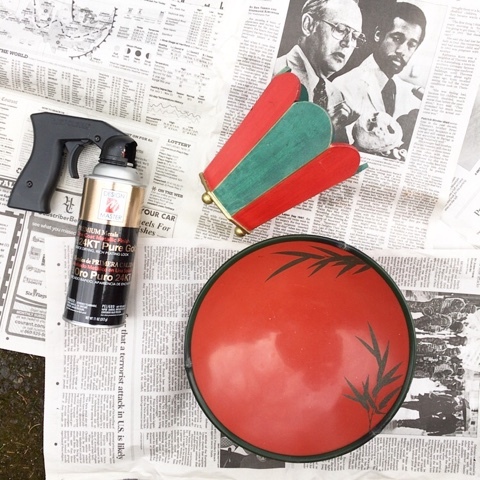 I spray painted the items and allowed them to sit overnight inside my home. I loved how everything turned out. 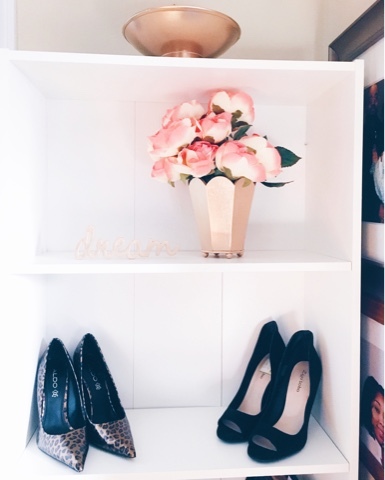 I added the items to my shoe shelf. 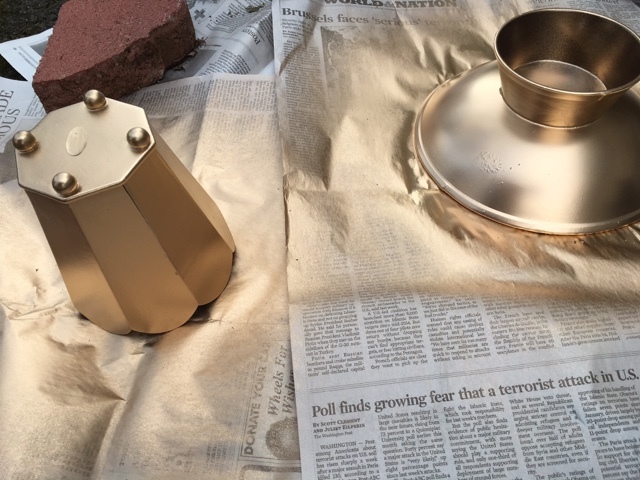 Any new spray paint projects you've been working on?